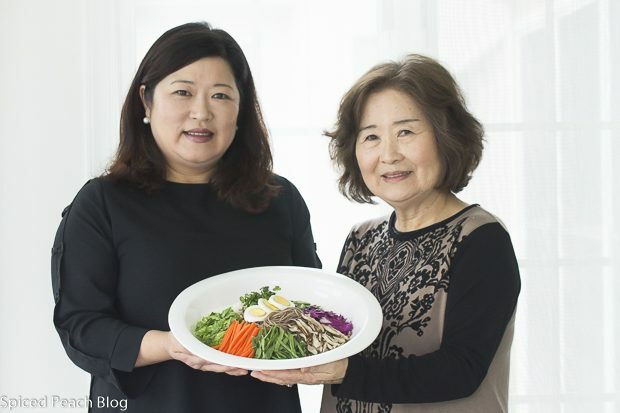 A variety of cold noodle dishes may be found in many Korean family kitchens throughout the hot summer months and one popular favorite is Korean Cold Buckwheat Noodles Salad. The only way to describe Anne, besides her beauty, talent, intelligence, and a very generous big heart is that she’s one of those special besties that shares with you all life’s notable moments, celebrations, success, happiness, and any disappointments and rough times in between. Along with hot tea and small bites of French pastries, we three enjoyed lots of animated conversation, laughs, and plenty of fussing over shapes and color arrangements in coordinating the cold buckwheat noodle dish while dual designing this food segment for our local Blue Bell’s Finest Magazine and today’s post. Easy to prepare, today’s cooked, icy cold buckwheat noodles, also known as soba noodles, are simply topped with a variety of fresh vegetables and sliced hardboiled eggs. Accompanying the platter arrangement is a fresh orange scented Soy Sesame Sauce which is served on the side and tossed individually between bowls. Providing a clean sweet and salty flavor the combination is pleasing to the palate especially on those days when dinner preparations don’t require you to turn on the oven. Visual appearance is important in Korean Cuisine so the vegetable colors were coordinated with a certain balance in mind along with paying attention to the details of evenly sized and shaped components in the display. Korean Cold Buckwheat Noodles Salad is flexible in the broad variety of ingredients that may be included in the preparation. Salad accompaniments often vary by the home cook topping the dish with ingredient staples on hand in the household pantry and may also include leftover marinated beef, chicken, pork, or fish cut into small pieces. 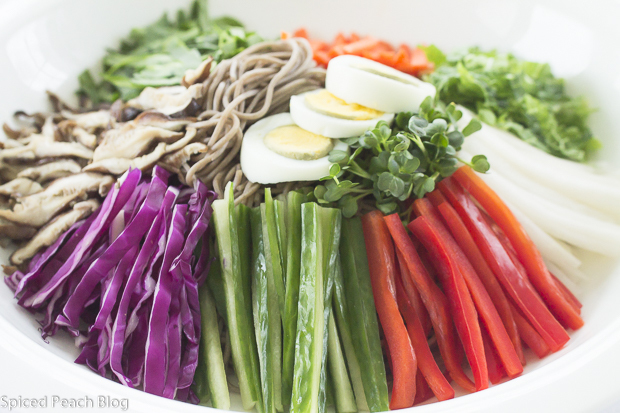 Korean Cold Buckwheat Noodle Salad also makes a stunning display for the buffet table or a Pot Luck. One special tip in the preparation is cooking the buckwheat/soba noodles until just done to the bite. Because the noodles are very starchy many cooks will add a cup of cold water into the boiling noodles early on in their cooking which also helps keep the starchy liquid from boiling over. The noodles need to be drained immediately and rinsed under very cold water until completely cool. Some cooks will then tumble the noodles into ice water before draining again and chilling. I simply toss the noodles in a long dish with a bit of canola oil once they’ve been rinsed well with plenty of very cold water, cover, and chill until assembly. Whisk together ingredients for Soy Sesame Sauce, pour into a small serving bowl. Cook buckwheat noodles according to package directions until el dente, drain, rinse with very cold water, toss with a tablespoon canola oil to keep from sticking, cover and chill until serving. When ready for assembly set chilled cooked noodles in center of a large sized platter, arrange vegetable selection on top decoratively while contrasting colors, finish with hard-boiled egg and radish sprouts for garnish. Serve noodle salad alongside Soy Sesame dressing for tossing through individual bowls. 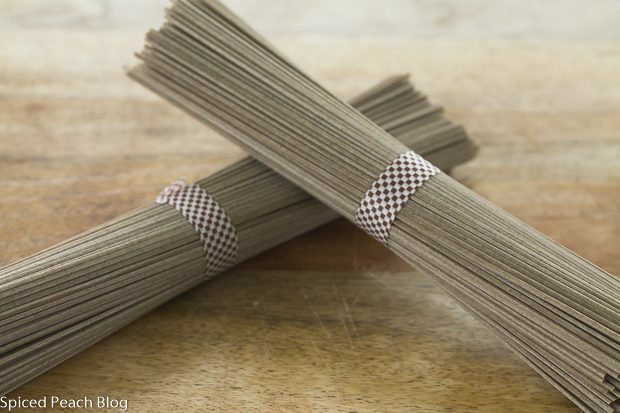 Buckwheat (soba) Noodles may be purchased at any Korean or international market. This entry was posted in Foods Around the World, Pasta- Rice-Grains, Salads and tagged Korean Cold Buckwheat Noodle Salad, Korean Cold Noodle Salad, Soba Noodle Salad. Bookmark the permalink. Post a comment or leave a trackback: Trackback URL. What a pretty dish, Peggy! I love the aesthetic. The arrangement of color is striking. Thanks so much Kelly! It is a lovely dish and refreshing for a hot day! Thanks Kelly! I love the aesthetic too, the bright colors are so appetizing. A perfect warm weather noodle dish! Now you’re talking. I have only cooked with Buckwheat Noodles (aren’t they the same as Soba Noodles) once and it did not end well. 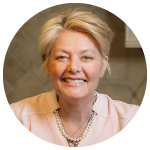 So, I read with interest your last graph loaded with tips on turning my efforts into a success story. Glad that you’re also doing this post for a magazine. Nice. All kinds of ideas for salad making in your blog today. Very nice, both of you (and, Mom). Thanks Mary! Hope all is well, talk to you soon. Hugs your way!